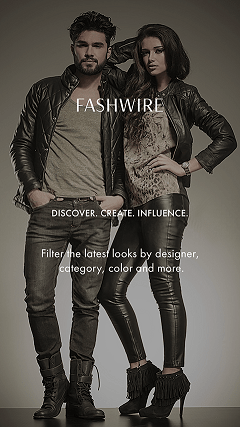 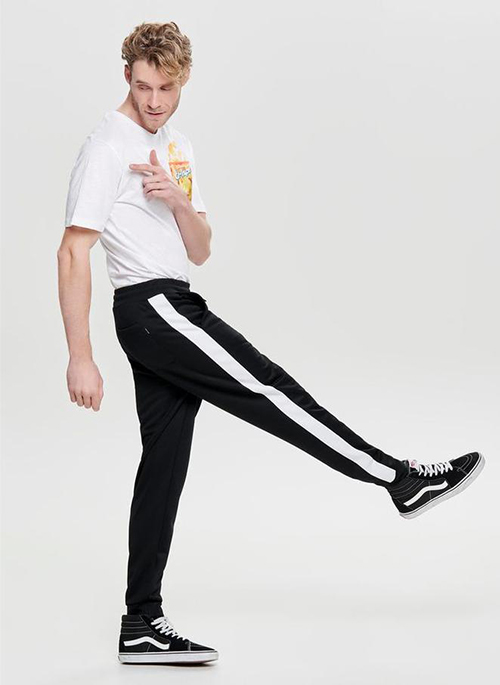 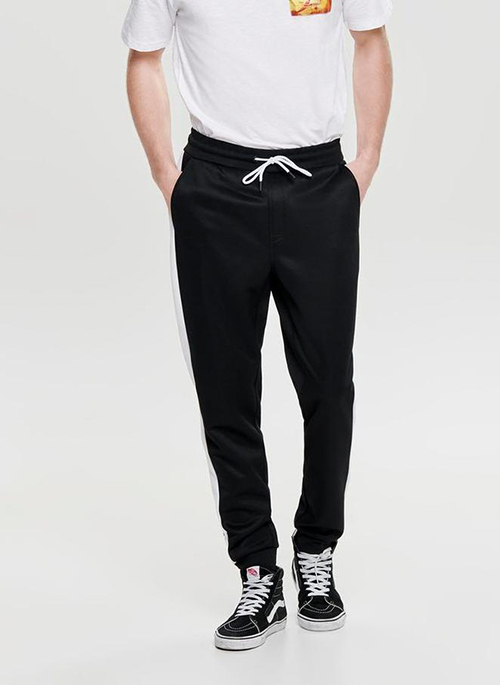 A retro style that has made a huge comeback recently, the athletic style pants with white stripes on the sides. 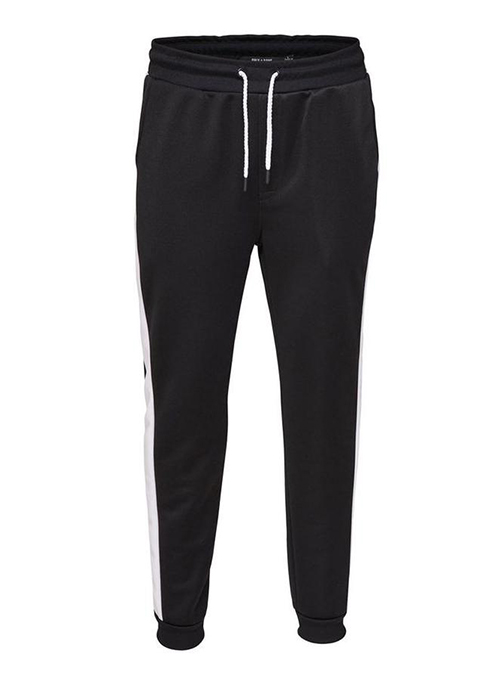 The joggers feature an elastic waistband with drawstrings, elastic ankles as well as a three pocket style. 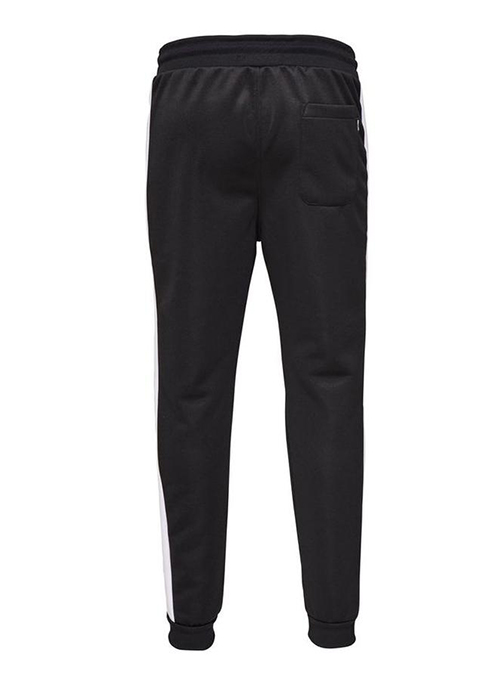 The pants are made of polyester and elastane for a silky, soft touch.